This article with spiritual insights and tips on parenting will, among other things, explain to you how some of the most basic principles of the universe work. Sounds a bit lofty and irrelevant to parenting? Well, it really isn't! It's very relevant! You see, if you understand this mechanism properly, you will have a wonderful tool to help you create a wonderful life - both in terms of parenting and everything else you can imagine. So what is this universal tool? Simple: What you are, what you give, what you emit, what you focus on ... is what you get! When it comes to parenting, I often refer to it as the simple, but powerful mirror effect; What you are, your children become. What you emit, they give you right back. Whatever that might be. If you are spiritually inclined, you may have heard of this principle as the law of attraction. In this parenting interview parent coach Christina Fletcher will explain to you in a wonderful, easy to understand way how the law of attraction works and how you may use it as tips on parenting in your everyday life. As interesting as the law of attraction may be, there is much, much more to this article than just that. You'll get many deep insights and wonderful tips on parenting from a place of peace and love. Just take a peek below and see what topics Christina will get into here. What does it mean to be a spiritually aware parent and how does that differ from being a 'normal' parent? What can we do in the moment when things get difficult - is there a step by step guide? 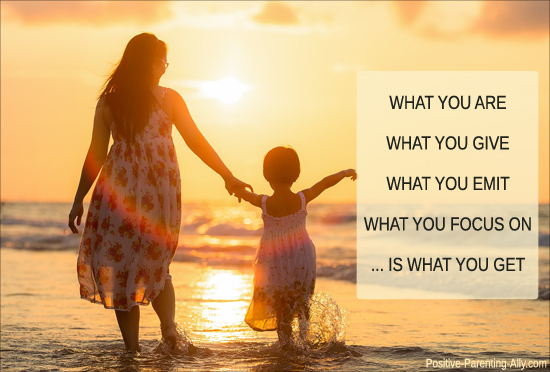 What is the law of attraction and how does it relate to parenting? How do we get started if we want to reap the benefits of the law of attraction in our parenting life? How can we understand self care within a spiritual framework and how do our children benefit from it? Is there a downside to the role of viewing yourself as a 'parent'? Is there a better way to view yourself that benefits both yourself and your children? When is it parenting becomes difficult and what is the biggest hurdle for change? What is a good first step if one wants to experience a change in one's parenting life? If these questions somehow speak to you, touch something in you, I really encourage you to read on and find out more. Who knows, Christina might just touch upon something or have the answer to something you've been wondering about or wanted to learn more about. But before we get into the interview itself, let's get to know Christina a little better. Here is a quick introduction. Christina Fletcher is a mom to three kids whom she homeschools. She has been married for 15 years and is currently living in Nova Scotia, Canada. 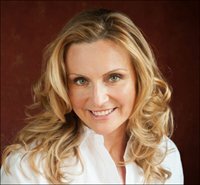 Christina is a spiritually aware parent coach and author who offers parents tools on how to connect to their truest selves even in the chaos of life. 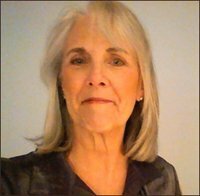 On her wonderful website she shares both her own personal experiences of parenting with a spiritually open mindset as well as offering tips on parenting to help parents steer themselves towards a more peaceful and joyful parenting life. Christina's most recent passion is creating spiritual courses for families (affiliate link) to help them find ways of playfully creating spiritual connection and tools within their lives. If you're interested in learning more about how to connect deeper with yourself to experience more peace and joy with yourself and your kids, you might be interested in reading my honest in-depth review of Christina's parenting course for spiritually aware parents and their kids. In this review you'll also read a few practical examples of exercises I did with my son. 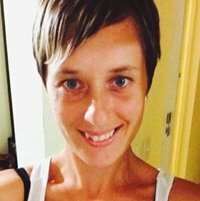 Like what is the case with most of the parent coaches I've interviewed, I noticed Christina on Twitter and found her tweets very inspiring and powerful in terms of guiding oneself back to oneself. They work like a kind of meditation that calmly centers you within yourself. So I thought, hmm ... I should really talk to Christina. She seems like she a lot of important things on her mind and in her heart that my readers could benefit from. However, at the time when I had the thought to make contact, I was preoccupied with other things, so I didn't get around to it right away. But even though I didn't act on it, Christina popped up as a friendly thought now and then throughout my day for a couple of days. And this is where it gets interesting; I never got around to mailing her, because she emailed me first about another matter related to parenting. We'd never had any contact before. Maybe we somehow picked up on each other, who knows? But it sure was efficient! Anyway, it turned out that she more than happy to do an interview with me, so with no further ado I present to you my interview with lovely and wise Christina Fletcher. Let's start at the beginning; I'm curious to know how it all began for you. How did your interest in parenting as a passion come about? How did you know that parenting was something that you wanted to work with and spend so much time focusing your attention on? Was there something specific that triggered your interest or did it just sort grow on you? When I found out I was pregnant that first time 15 years ago I was desperate to find a way of having a spiritual pregnancy. I had been spiritually focused for years. I'd studied religion in university and was working on a television series about spirituality when I met my husband. Actually, I met my husband through meditation and connection as well as the law of attraction. Well, when I got pregnant, I searched every bookstore, looked into crystals, and energy healing. I frantically searched anywhere I could to find some hint on how to approach this amazing miraculous experience with a sense of spirit and magic. This was before the internet really took off, and Facebook and social media didn't exist, so all I could do was look for books and try to talk to my only spiritual centre about what was happening within my body and how I was going to be a mom. It all had happened so fast that I faltered. I couldn't find that centre. I was more focused on fear than feeling love, and I stayed that way for almost 3 years. We had another daughter 10 months after our first, and I was stressed. But I didn't want my children growing up in a stressed home. My husband and I love each other and we wanted our children to really know that love, to feel it in their home environment. We wanted them to feel magic and laughter and to understand beauty and spirituality. When our eldest daughter was about 2 and a half I suddenly woke up and started focusing my parenting on how I wanted it to be, rather than how I thought it should be. That exploration grew and I started creating stories and crafts and tools for my daughters and later on my son. The more I explored, the better I felt about myself, and the better I felt about myself, the better I became at being a parent. Passing that on to other parents then became the next logical step. I understand that spirituality is very important to you. How did you end up being a spiritually aware parent and what does it mean to be a spiritually aware parent? How does it differ from being a 'normal' (if that even exists) or a more conventional parent? Where is your focus as a parent and why? Spirituality has always been important to me, even as a child I turned to a sense of the divine when I was scared or upset. The idea of living connected to what connects all of us, made sense to me. So, when I couldn't find that when I first became a parent, I felt like half of myself. I didn't want to live in a role … in the role of being a "parent". I wanted to see my children deeper and be able to go deeper myself. So that's how it began. How does it differ from regular parenting? To be a spiritually aware parent means you are aware of that deeper part of you and of your children. If you start to feel stressed, rather than looking for something to blame or someone, you stop and breathe, you refocus on a different, spiritual perspective and then ask for a solution to flow in. When you shift to being solution focused rather than problem focused, a solution always shows up and usually in the most exciting surprising ways! 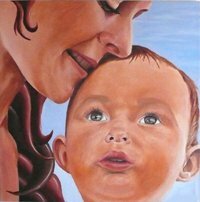 Spiritually aware parenting also means you view your children as people, as fellow spiritual beings. Their behavior isn't "bad" or "good" you aren't trying to control them and make them do what you want them to do. Rather you are offering them tools to feel better with, tools to find their own connection to Who They Are and you work together, as a team of co-creating spirits. 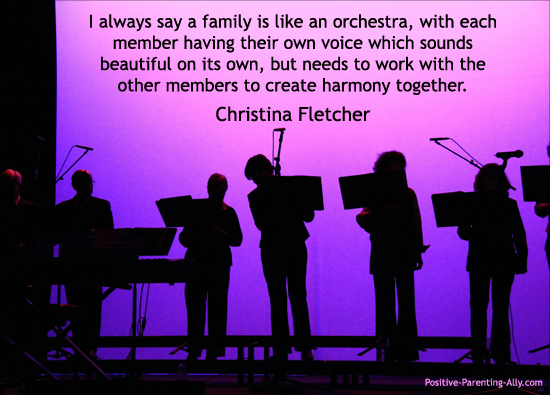 I always say a family is like an orchestra, with each member having their own voice which sounds beautiful on its own, but needs to work with the other members to create harmony together. This is a big difference to conventional parenting, which usually has the parents as the controlling power and the children having to learn how to do things their way. If we imagine that as parents we all each have a toolbox, what are your most important tools and how do they differ from the more conventional parenting tools of today? Why have you chosen them, how do they work for you and why do you think that is? I love parenting tool boxes! In mine… I have a lot of tools. 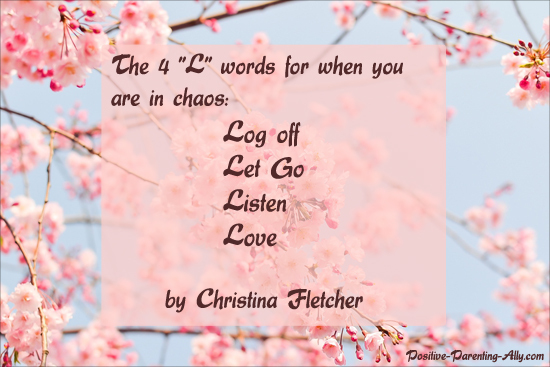 I guess my most important ones are… My 4 "L" words for when you are in chaos. The process is for when everything is getting stressful, you can log off, which means to step back and switch off that reaction step, breathe, turn off any distractions and go within. Let go, means to breathe out the stress, let go the need to control and fix in that moment. Listen, go within and ask, then listen to what you feel is the right step. And Love … love and appreciate anything you can focus on. Love and appreciation are powerful tools for when we shift to appreciation we align to our deepest core. We instantly feel better and we become present in the moment. Another of my tools is to write at least 5 positive things that happened in the day before, just before you go to bed. It's amazing how suddenly you start noticing everything that's going well, rather than staying in the pattern of seeing what needs to be fixed. I also get my children to do it and it's a beautiful night time routine. Another tool I always suggest is what we call the "At Least" game. When you are feeling upset about something, or your child is, find five sentences starting with At Least … It's amazing how you can feel better and see the light side of things. 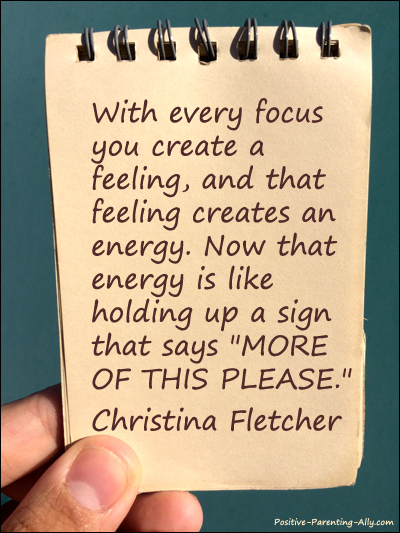 - The Energy You Emit Is Like Holding up a Sign That Says: "More of This Please"
The law of attraction is something of great interest to you as I understand it. For those not familiar with concept, could you perhaps provide a quick explanation of the principles inherent in the law of attraction? With every focus you create a feeling, and that feeling creates an energy. Now that energy is like holding up a sign that says "more of this please." And the universe (whatever you perceive it to be) responds with that same energy. You can see it clearly in a "run of bad luck". You know, one of those mornings when you get up, stub your toe, spill breakfast down your shirt, and then end up in traffic. Energy snowballs build, so one focus soon creates more of the same. Luckily, when you know about it, you can consciously become aware of your focus, and create runs of "good luck" too. - So Notice What You Expect; Is It Positive or Negative? How does The law of attraction relate to parenting? Why are you so into it and how do you use it? Do you use it in your everyday life? For my readers to better understand it, could you maybe could give an example of how you have used it? The law of attraction relates to everything! But being aware of it within parenting changes so many reactions and situations. For instance, if your child is being ... let's say difficult … and you start seeing their behavior as who they are, so you expect it, you are holding a sign up that says "more of this behavior please." And it is so. I was talking with a client the other day, and she was saying she couldn't get her kids to leave the house, even to go to the park or something fun. Because this was her story she sent that sign out and the children had to fulfill it. It meant she couldn't see any way to expect a different outcome. Whereas if she changed the story in her focus … if she started noticing that her children enjoyed playing at home, and wanted to be in their moment rather than rushed to the car … if she noticed she was eager to leave the house and felt trapped there, that she felt they were keeping her from freedom and changed the story to just stop and play in the moment, and then ask if anyone wants to go to the park … it would be a different outcome. Often when we focus on the need to have control, we actually feel we have no control… "More of no control, please". Often we focus on how no one will listen "More of being unheard please." And the list goes on and on. So because it's our focus that triggers the law of attraction, the simple art of positive thinking becomes the solution. When we start to focus on what's going well rather than what's not working, we change the sign. 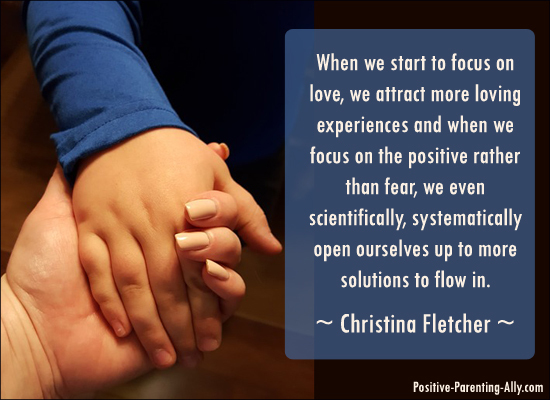 When we start to focus on love, we attract more loving experiences and when we focus on the positive rather than fear, we even scientifically, systematically open ourselves up to more solutions to flow in. If we were to consciously use The Law of Attraction in our parenting life, how do you recommend that we get started. Do you have a short step by step guide as to how to do it and apply it? One of the first things I suggest my clients do is start writing down 5-10 positive things that went well through the day every night. This puts attention onto wellbeing. Also, look for indicators around you. Are you having a run of bad luck? Or is life flowing? If you're in a rut of things going wrong, then put more attention on what is going well. You can always find something, even if it's just the ability to breathe or to walk, or that your heart still pumps blood. Finding those little things make all the difference. You speak a lot about self care and I think people associate very different things to that concept. Some may think of massage and wellness, others may associate to shopping or maybe something completely different. What do you mean by self care and why do you find is it so important? Self care is affected by the law of attraction as well. If we are holding up the sign that says "I can't get anytime to myself" then immediately, we can't. Have you ever noticed that as soon as you try to find time for yourself and you try to push for it, someone gets sick, or you are needed for something else? Therefore, my concept of self care is one of remembering one's true self. We are all more than these bodies, and we are so much more than just "mommy" or "partner". We are more than chores and routines. We are magic makers and the dreamers of dreams. So, self care for me is within our hearts and heads. It can happen when nursing a baby, or doing dishes, it can be as simple as putting on music that makes your heart swell with joy, or dancing in the kitchen. My self care involves saying good morning to my spiritual centre, doing some yoga each day and making sure I connect to the deeper part of me. It means I fill my well so I can give to my family what they need. In one of your podcast interviews, you talk about the need and benefits of tapping into a certain space of self. What is that? Could you maybe explain when, why and how you may do it, for instance with an example so we can better understand? And what kinds of benefits do you find it has for you, when you 'tap in'? And if we were to convert it into tips of parenting: How do your children benefit (if they do)? It can be called the Spirit or Soul, but a sense of self is a feeling, it's an inside job that's experienced. First, when we remember being a child and think back to childhood, we "feel" like the same person then, even if we looked different than we do now. We thought with the same inner voice, although we may have learnt different things over time. That inner person is unique to each of us. That's Who We Are. So when we take a moment to shift away from the focus of the day and see through that person's eyes, we are being a fuller version of ourselves. Another way to see it is by looking at stories of people who have died for short periods of time. One of the stories that struck me the most was of Lisa Garr, who was in a bike accident and literally fell down a mountain. She felt herself above her body, she watched the medics work on her. She could see the cords of love between her husband and her, as well as the crush of one medic to another. She could feel who was working on their purpose. She also could feel a space of ultimate love around her, where there was no pain, but a calling forth of love and joy and excitement. She chose to return to her body. But she now writes about the constant awareness of this whole perspective, of this deeper sense of herself. When I see life through "my" eyes, I love deeper and understand better. I enter a "flow" where things just happen, the right words come out of my mouth, the perfect solution flows in, life just rolls happily along and even if there's a bump in the road and something negative occurs, I can act with a grounded sense of the situation rather than react to it. In the same way too, if I feel stressed or frustrated, I know that I'm going into a situation with a focus that's not connected to that flow. I'm seeing things from only the physical self, and if I shift to a Whole view, the stress, worry and frustration melts away. Now for my children … well the interesting thing is that children are in this connected state most of the time when they are really little. If you take a baby they are usually connected to this sense of themselves until something disconnects them … like hunger, or discomfort. Then it turns to fear or us saying "no" that disconnects them. But when they grow up aware of knowing whether they feel true to themselves or whether they don't, when they can be aware of how they feel, of their emotions as indicators of whether they are being true to themselves, then they have a stronger sense of self esteem. My children don't feel defined by what they look like or how others see them, and that makes me feel really, really proud. How do you view yourself as a human being and how do you view yourself as a parent ... is there a difference? If yes, how? If no, why not? Hmm… what an interesting question. I think I work at there being no difference. I don't want there to be a difference. If I have a "parent perspective" it means I'm allowing that role to become my point of view, rather than bringing myself, my point of view, to the role. We don't usually see that in other relationships … or if we do it's not considered healthy. We encourage other people to be themselves in marriage to not just be a "wife" or "husband" and then be someone else when they are alone. I view it like this for my children as well. Yes, I have to be the conductor to our family orchestra, but now that my children are getting older I find that I'm enjoying being their friend as well. I enjoy bringing myself, with my loud laugh and goofy humor, to the room and I love the fact that my kids can join me in fun. They know I'm here for them whenever and as soon as they need me, but I don't have to hold myself off in a parenting corner to provide that. I like to try and just be Love and let that flow, and not just with my kids, but for everyone. I think my kids feel safer knowing me as who I really am and knowing they are loved no matter what. How do you view your children, who are they? And why have you chosen to view them that way? And how does this differ from the more conventional way of viewing children? I firmly believe that our children chose to come to my husband and I before they were born. They chose us as the launching place, the starting line, on their beautiful lives. I believe they saw a window of opportunity to join us when they were conceived, and we dance and create, spiritually, together. We're equals. We're all spiritual beings. And just because I've been here longer than them, it doesn't mean much. I just have more knowledge about the world, but they can have more knowledge about other things. Their opinions, feelings and instincts matter to me and count. On an overall level (and this is a big question, I know, and I'm sure there are a myriad of roads one can take when answering), why do you think so many parents struggle with parenting? Why do you think, they find it so difficult? Because we all come wanting to feel like ourselves and follow our interests and passions and we're raised and convinced we have to put ourselves to BE a parent. We are taught to see being a parent as a job, as something we have to "get right" and another person, our child, is the proof to the world of whether we are good at our job. Children, like everyone, have their own journeys and … my clients get so much relief when I remind them that it's not our job as a parent to make our children happy. And it's not our children's job to make us happy. Rather, we can support them and offer them tools to find the deepest version of themselves. We can teach them about happiness and how to feel how they are feeling. But parents are usually struggling with a sense of losing themselves in a role, that's impossible to be good at if it's about control. If parents decide they want to experience a change in their parenting life, what do you think (or have you experienced) is the biggest hurdle they face? I once talked with a hypnotherapist and she reminded me that the root of science, one of the first things we learn about in nature is homeostasis. We are physically created to find balance and retain what we know. If we're cold, we shiver to warm up to balance. If we're hot we perspire to cool down … to maintain balance. And our minds are the same. We have to consciously, systematically change our patterns to ones of conscious awareness. If we want to live mindfully we have to create space for that and practice it until it becomes the new balance. 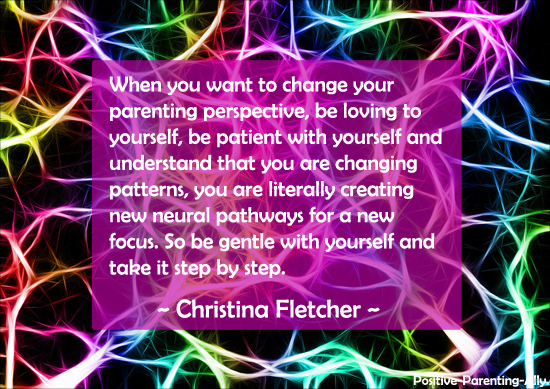 Same too, when you want to change your parenting perspective, be loving to yourself, be patient with yourself and understand that you are changing patterns, you are literally creating new neural pathways for a new focus. So be gentle with yourself and take it step by step. On a general level, if that's possible, do you have some tips on parenting to someone who really is not happy in his or her parenting life and really want to experience a change? Is there a first step to take? What would it be? I would say practice appreciation. Just that for the first step. Practice appreciating everything, especially things your child does. If they don't take out the garbage, but they talk kindly to the neighbor, put your attention on the latter. When you go to bed, think about all the lovely, kind, considerate things your child has done … or if you can't find that, focus on what they did well. The times they listened, the times they stopped when you asked. It makes a huge difference when you start noticing the good in someone. Because you are holding that sign up again, and it always brings more of the same in! What is the most important thing, you've learned about yourself since becoming a parent? 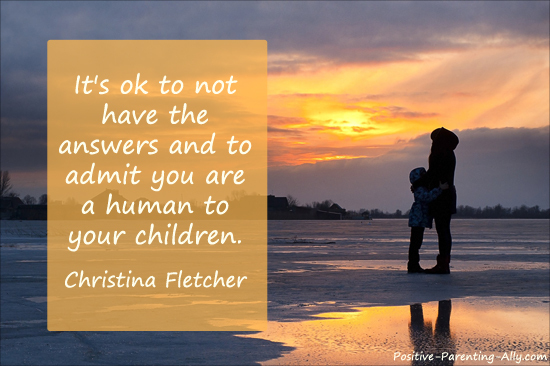 It's ok to not have the answers and to admit you are a human to your children. It's ok to stumble, because it gives clarity to what your own version of success is. Is it possible to transform this insight into some tips on parenting? Live each day as the best version of yourself. Let go of "shoulds" because they don't exist, not really. Everyone will tell you what you should do, and everyone will tell you something different. This is your journey and your child's journey. Follow your light. If you had a parenting 'motto' or quote to live by, what would it be? Be yourself, because everyone else is taken. It's a quote from Oscar Wilde. 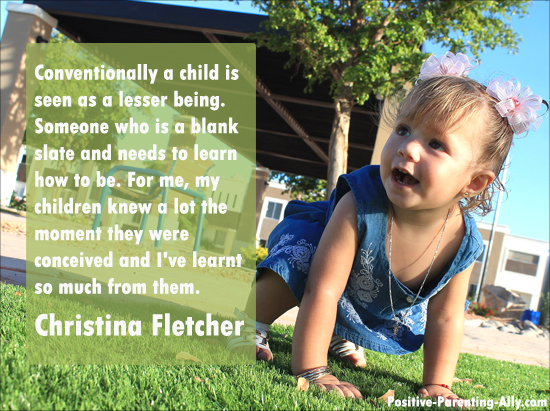 This wonderful quote marks the end of this parenting interview with spiritually aware parent coach Christina Fletcher. I hope you found it inspiring and empowering and maybe even found some practical tips on parenting that you want to have a go at in your everyday life. 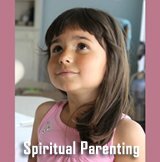 If you'd like even more from Christina than what this article has to offer, you might be interested in her spiritual parenting course for both parents and kids. 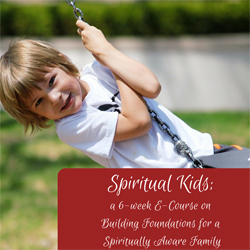 You can go here for my review of her spiritual parenting class (Spiritual Kids: Building Foundations for the Spiritually Aware Family) or you can go directly to her website (affiliate link) to learn what she has to say about it herself. Denmark's Little Secret of Better Parenting Can Be an Eye-Opener ... and a Mindset Revolution if You Dare Look Inside Yourself, too. A parenting interview with Jessica Joelle Alexander. Good Parenting Advice for Conscious Parents on a Journey of Learning and Loving. 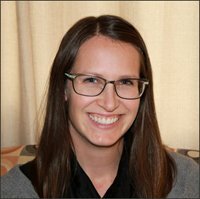 A parenting interview with therapist and parent coach Megan Stonelake. Good Parenting Tips for Growth Orientated Parents Who Are Bold Enough to Look Inside. 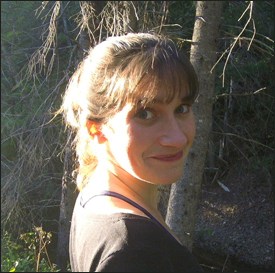 A parenting interview with parent guide Natasha Solovieff. 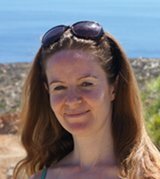 An In-Depth Interview on How to Consciously Parent in Peace and Love. 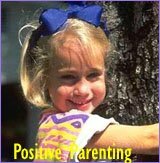 A parenting interview of Positive Parenting Ally by Abdullah Atturki.